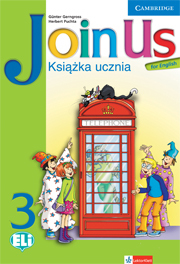 Join Us for English is a fully updated edition of the successful Join In. This course for young learners provides a motivating and enjoyable way to learn English through many interesting topics, picture stories and songs. This revised course ties in with Common European Framework guidelines, creating opportunities for self-assessment and portfolio building. 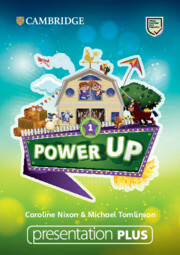 It includes new culture pages, 'Project Time' activities from level 2 onwards, plus a Language Portfolio for each level. 'Look!' sections in each module highlight key grammar structures.